Desert ghost towns to Sierra meadows & waterfalls, Inyo National Forest offers plenty of diversity for scenery. To list all the hikes in the Eastern Sierra would be obsurd, cuz there are so many trails. This side of the Sierra Nevada is all about hiking, fishing & camping. No matter where you hike you will probably get a great view over the Owens Valley, Long Valley Caldera or Mono Lake. So that means most of those trails are hiking up a canyon, or a ridge line. 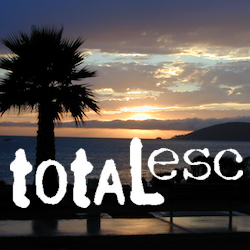 Thousands of trails over this region require a good map to make the best decision for your hiking interest. 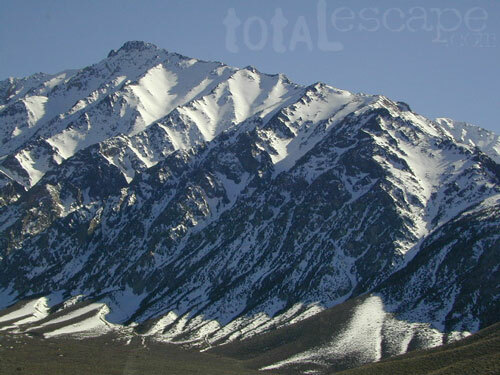 US HWY 395: The Eastern Sierra is one of the premier hiking destinations of California. Featuring the granite crags of the HIgh Sierra peaks. Mount Whitney, the tallest peak is closest to Lone Pine. Southern Californians love Eastern Sierra destinations, cuz they can avoid Los Angeles Basin and stay outta traffic. Lone Pine Lake – Whitney Portal is a great, but crowded place for hiking. DO NOT ATTEMPT to hike to Mount Whitney in one day! Leave it to the seasoned pros. The first good stop up the Whitney Trail is gorgeous Lone Pine Lake, a great moderate day hike from there. 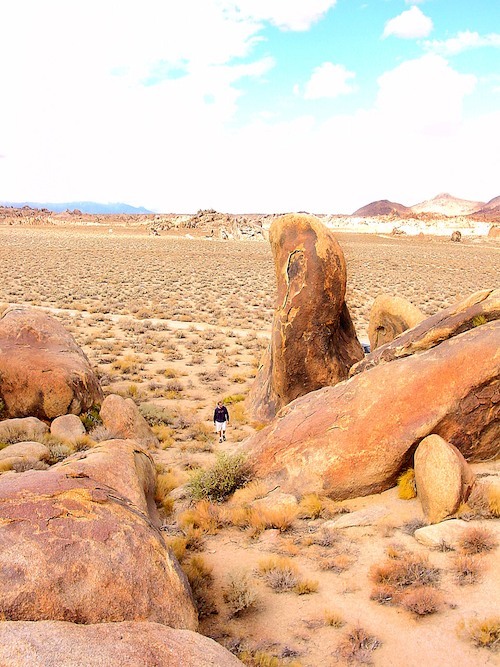 Alabama Hills – just below Mt. Whitney and has a totally different landscape than the backdrop granite Sierras behind. Try some boulder hopping & explore the dirt roads. Bring your mountain bike too. 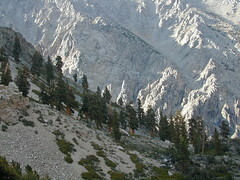 Kearsarge Pass – from 9000′ Onion Valley you can access the incredible High Sierra & numerous alpine lakes. The elevation gain makes this a full days hike; rated strenuous. Or continue on w/ backpack into Kings Canyon National Park. Devils Postpile – back behind Mammoth Mountain, creeks, forest & cool geology awaits. Plenty hiking trails. 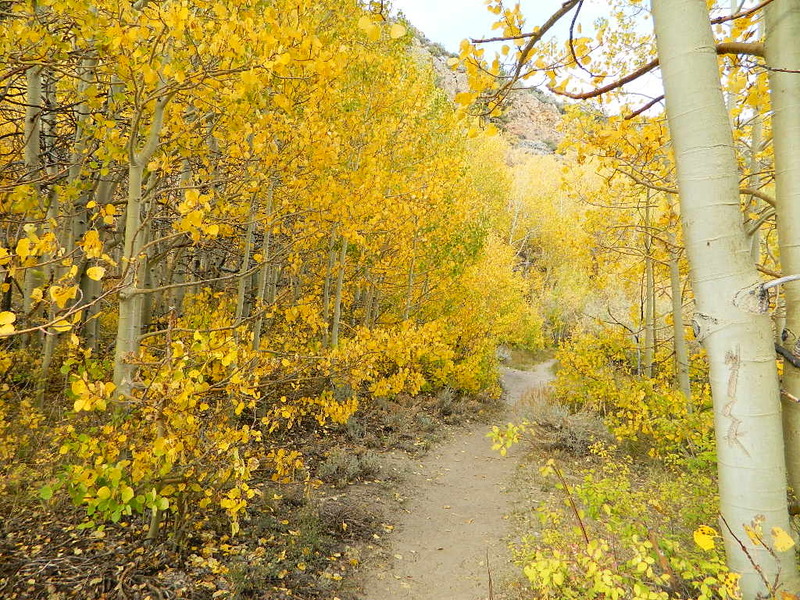 FALL COLORS: Autumn is the best time to enjoy the gorgeous aspen groves, as they change colors w/ the onset of winter. Trailhead @ Onion Valley leads up to impressive alpine lakes, Kearsarge Pass & Kings Canyon High Country.